It has been a rare period of fineness. Glen Croe has been in good nick and the classic lines are seeing repeats: Turbinal Nose is the most popular, with quick ascents by Ali Robb and Alan Cassidy, who nearly did Precious on the same day. Falling off the easy bit proved a crucial turning point... the sun got up and heated the slopers and it was all diminishing returns. You'll get it next visit pretty quickly Alan! 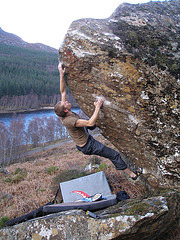 Glen Nevis has a number of projects and really is the glen for finding new lines at all grades, there are simply hundreds of big boulders awaiting a brush or simply attention. 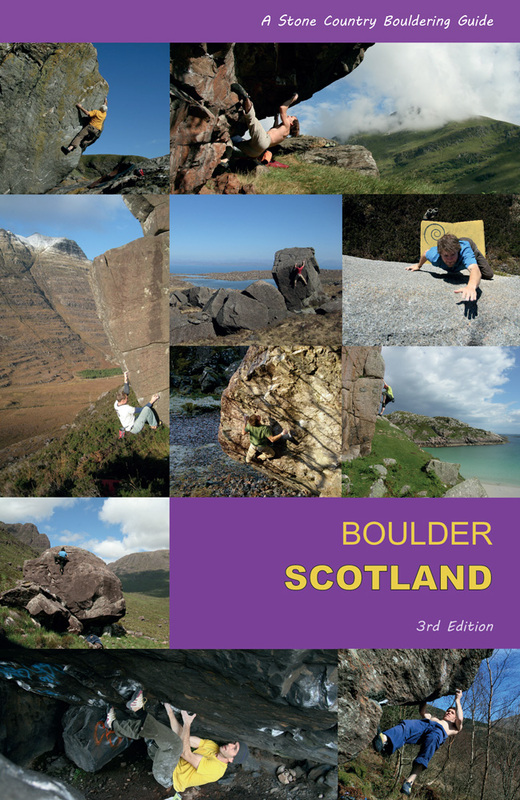 I visited Polldubh at the weekend and saw three parties on routes and no-one bouldering apart from myself, it really is perfect at the minute for both routes and bouldering, so no excuses! 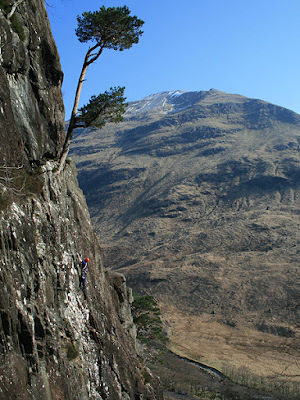 Glen Coe saw some activity, with John Watson completing the two crimp lines on the Leaning Bloc boulder in the Lost Valley, giving Helipad (Font 7a) and Diesel Canary (Font 7a+), two superb problems on this alpine-style stone. Plenty of other roof projects remain here. Loch Lomond saw a good power problem in Let's Split, a tough sitter on the perfect Holly Tree boulder half an hour's walk north of Inversnaid. 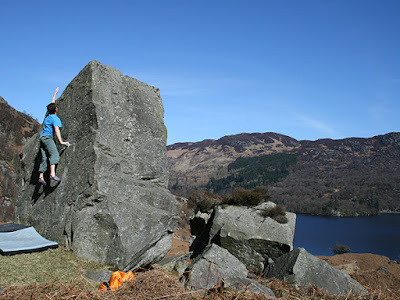 This leaning wall over the aquarium gravel goes from a pocket crimp to the lip in two hard moves at about Font 7a+....there is more potential on Loch Lomond's bouldery banks in this dry weather, the air is still cool and the rock as dry as I've ever seen it. 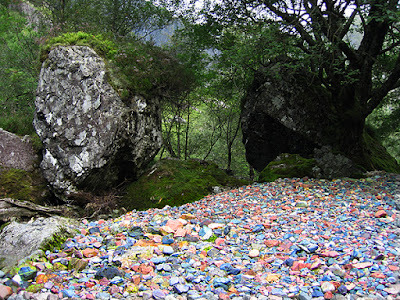 The Trossachs has been popular as the compact schist is clean and dry... the Sentinel boulders seeing repeats of classic lines and folk working round the boulders on other projects. The outlook over Loch Katrine is serene and as I said, the rock is in perfect condition. 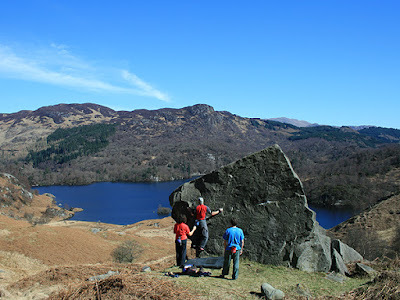 Niall McNair repeated 'Lock, Stock...' and The Victorian at the Trossachs, confirming them as excellent problems, though now it might be getting a bit warm to hold those quartzy slopers... get there before the sun, then chill out in the afternoon! Chris Fryer has been working steadily through Glen Clova, adding a few lines on 'the Sentinel' up and right of the Red Craigs boulders. 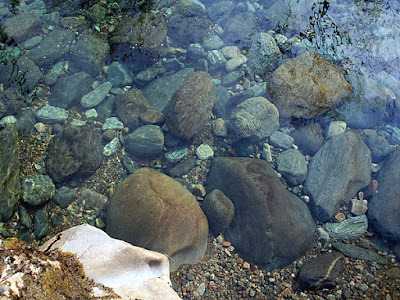 Hopefully he'll provide a topo soon and we can get the problems in to the new edition of Stone Country. 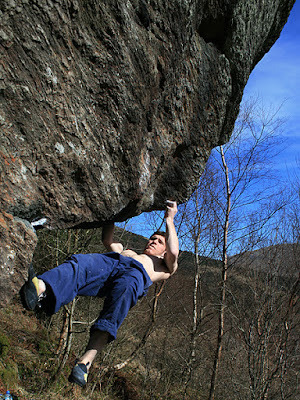 Richie Betts and Nick Carter have been developing the Meig Crag boulders in Strathconon. 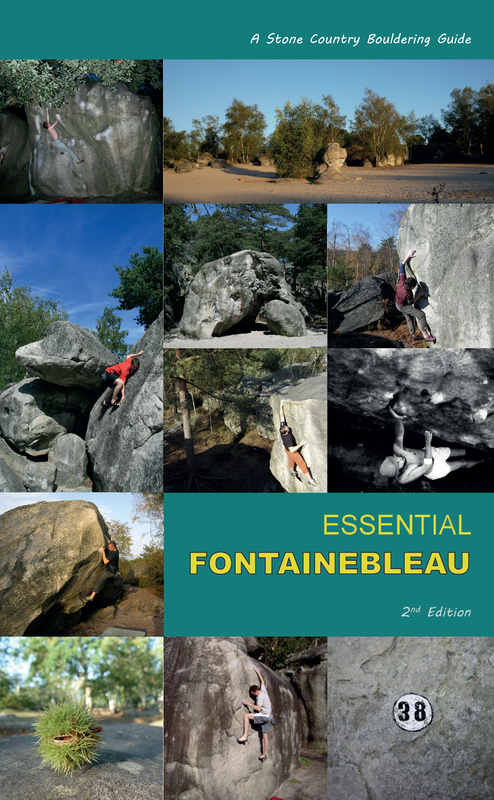 With lots still to do, the classic of the bunch so far seems to be The Lone Ranger, a V4 arete, first ascent by Nick Carter. Richie also had a good trip to the Coire Lagan boulders and worked the circuit there, he was impressed by the Chieftain: 'That thing is huge! Bigger than many of the e5's on grit and with a much worse landing' Indeed! !